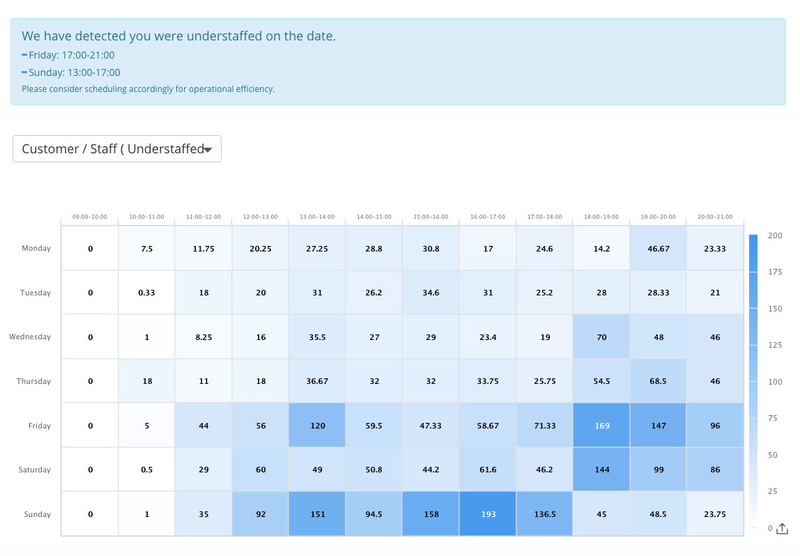 We can now estimate per shift and per hour the number of staff per visitor, giving you an overall view of your staffing status. Thanks to Computer Automated Tips, we ensure a day-to-day right staff allocation for an optimum performance, by letting you know when more or less staff is needed. At the top of that, further development will include individual sales performance rating per staff, with automated recommendations on how to improve future shifts to optimize in-store sales operations.